UK – Long time advocate of Martin Audio’s signature sound, venue installation specialist Middlesex Sound & Light (MSL) has wasted no time in introducing the manufacturer’s new CDD range to the leisure hospitality industry. The company has completed several high profile projects including its first installation for the burgeoning Burger & Lobster bar/restaurant brand. 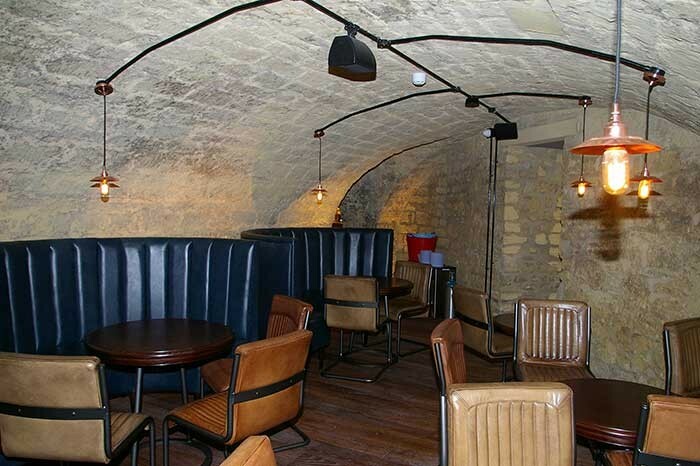 For their sixth venue opening in Bath the operators took over the Grade II*-listed Octagon Chapel, originally built in 1767 but recently restored within the courtyards of the city’s new Milsom Place retail and restaurant development. The new CDD – the successor to Martin Audio’s popular AQ architectural range – combines distinctive curved enclosures with unique Coaxial Differential Dispersion technology to deliver high performance, projecting more output to the rear of the audience to distribute sound evenly front-to-back, while having wide horizontal coverage close-up. Darrel Olivier, project director at Middlesex Sound & Light, selected nearly 50 of the ultra-compact CDD5 (5") drivers, taking advantage of the point source performance and consistent coverage in a combination of factory fit black and white enclosures. Providing 120°-90° horizontal (and 80° vertical) they blend seamlessly into the environment. 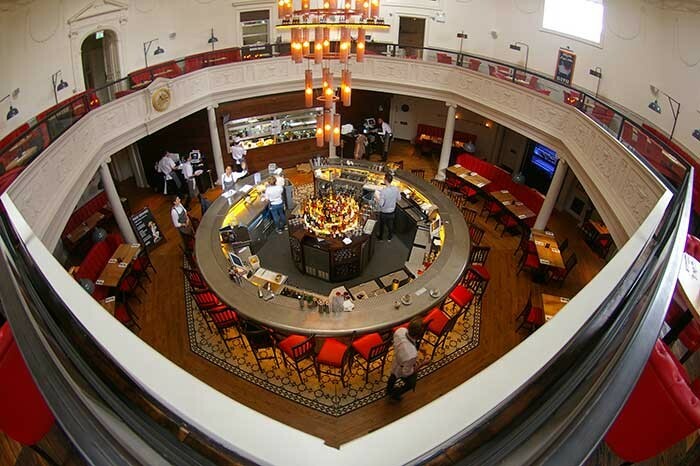 The venue itself comprises a large ground floor bar/restaurant, a mezzanine area overlooking the well below, with its giant chandelier drop. Underneath that are the original basement vaults, presenting a number of private alcoves forged into the open stonework, and an exit onto the modern piazza at the lower level. MSL counteracted the natural reverberation from the building’s hard surfaces within the rotunda, by specifying a generous quantity of speakers that could be run at low volume from the Powersoft amplifiers. At ground floor level ten CDD5s have been mounted under the mezzanine balcony, along with three CSX112 (12in) subs. The mezzanine itself sees eight further CDD15 and three CSX112 while in the basement are 14 CDD5 and three CSX112. Each of the venue’s three separate entrances are equipped with a further pair of CDD5s at the door, while along the customer routes in this maze-like environment are ten more of the tiny speakers; some are concealed in lobster pots, part of the bric-a-brac in the route leading to the rest rooms, where Martin Audio C4.8T ceiling speakers have been specified. For the most part the ground stacked subs have also been given low visibility, either recessed into fixed seating or mounted behind grilles, concealed by the lobster tanks. However, in the basement, the subwoofer in the stone snug has been sensitively washed by MR16 in-ground LED. To carry the music evenly into every nook, cranny and corner of the labyrinthine octagon, split across 24 sound zones, MSL has also specified a BSS Soundweb BLU-100 DSP and two BLU-BOB output expanders – giving them a necessary 24 outputs and greater control of the delays. Local bar control and source select on each of the three trading floors is provided via BLU-10 wall remotes.